Zambia’s Minister Mines, Energy and Water Development Christopher Yaluma announced that Zambia and Tanzania have agreed to build another oil pipeline linking the two countries in addition to the current Tanzania Zambia Mafuta (TAZAMA) pipeline. The new pipeline for refined crude oil will improve reliable fuel supply to Zambia, currently from Tanzanian main port in Dar Es Salaam via TAZAMA. Commissioned in 1968 TAZAMA pipeline was designed for a throughput of 1.1 million tons per year and is currently it is handling approximately 600,000 tons annually. 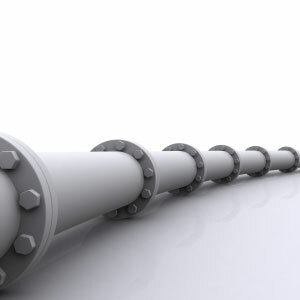 The pipeline is a joint company of the Governments of Zambia (66.7%) and Tanzania (33.3%). The two governments have also agreed upgrade the Zambian electricity transmission lines connecting them to improve power supply. “We are constructing a 330 Kilovolts (KV) transmission line from Pensulo sub-station to Kasama, from where a 132 KV transmission line will connect to feed Mbala,” Yaluma said.